The next Japanese sweet in my search of the right product for the Christmas market was a sweet called ‘Ukishima (浮島)’ in Japanese. It means literally ‘Floating Island’. I think the name came from the pattern the sweet has. It is often made in two layers in different colours and the wave of the lower layer looks like an island appearing above the sea. 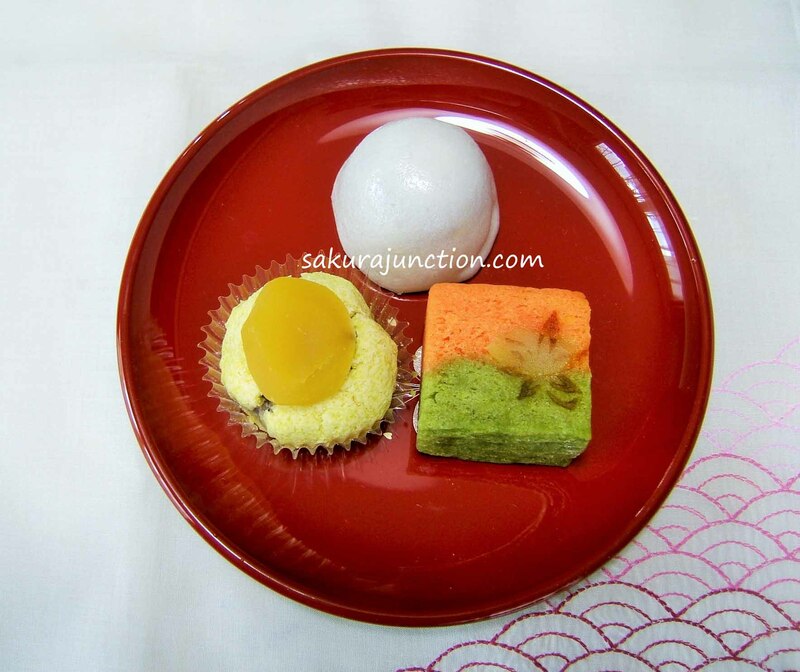 I had had the sweet when I was in Japan in October and I even posted the photo on this blog as ‘Manju in Autumn Theme’. It is the square one in orange and green colour with a piece of Chestnut. I was so amazed that a sweet can be light and moist at the same time. It was so delicious that I bought it again. 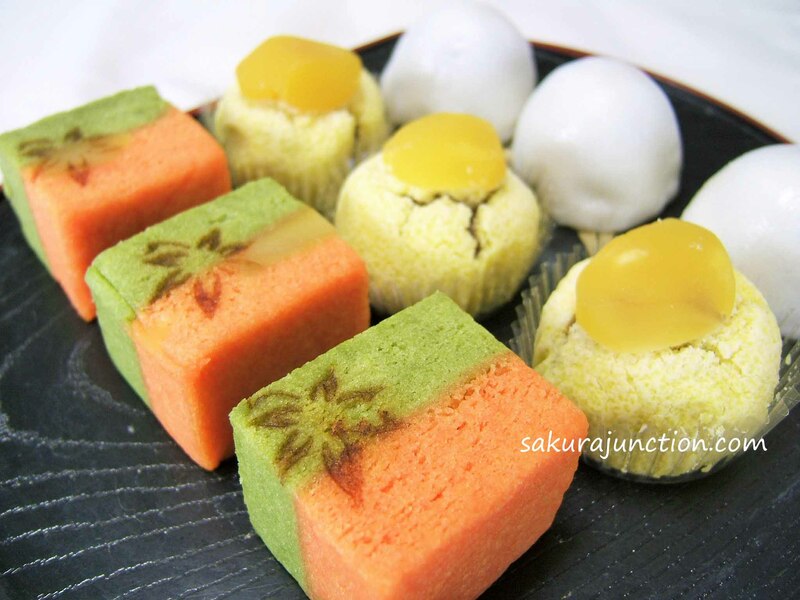 ‘Ukishima‘ is a steamed sponge like Japanese sweet. The texture is very light but also very moist. The Good news for many people is that it is Gluten / Dairy free. Perfect! I tried two versions. This one was with ‘Matcha (Green Tea)’ with Apple. It was a little rough but it looked OK, don’t you think? My voluntary tasters liked this and gave “10 out of 10”! So I am certainly adding this one in my products list. The market venue and the date are fixed but the thing which is not fixed yet is what I should bring to those markets – my products. There is so much demand for Gluten free food these days and I have been developing some. Luckily many of Japanese sweets are originally Gluten free and Dairy free. I have this signature biscuit “Kinako Shortbread‘ which is the Shortbread with Japanese ingredient ‘Kinako‘ and white sesame seeds. I know it tastes good and I have sold it before. So I want to try changing it into Gluten Free biscuit this time. It’s very fast! Too fast that Time passes! It’s nearly December. I though 2015 has just started. I cannot believe it. It means Christmas is coming soon too. Oh, Noooo! And then the thing comes before Christmas is? … sorry my mind is still in Winterfell. Anyway, I have to tell you that I decided to have a stall in local markets in December. Not one but two. Am I crazy? One of them is organised by a Japanese person and I have been joining them for the last three years. It is a Craft Market which is more like a market that people bring to gather their hobbies in one place. 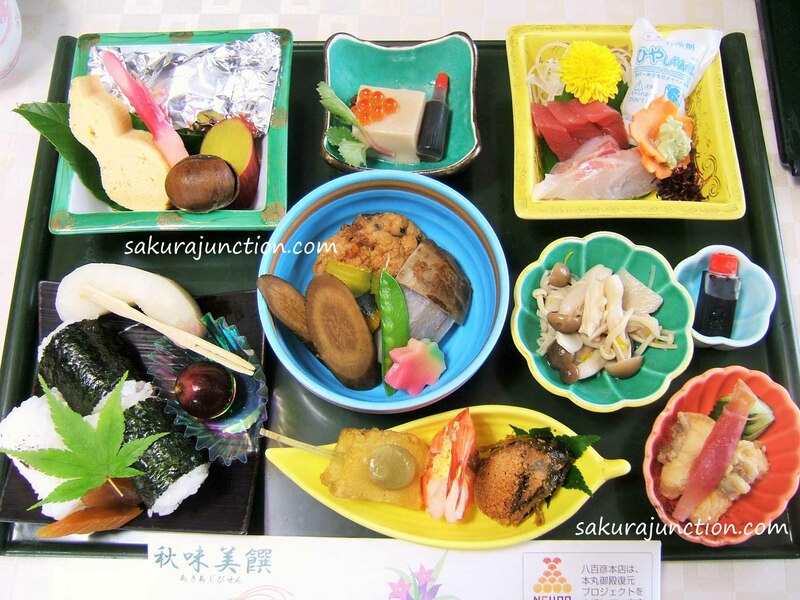 Some of the stuff is very Japanese and must be new and interesting to local people. I am a bit annoyed that although it is the middle of November, I am still writing some posts about my stay in Japan in October. I really should hurry up! I try to post something I encountered in Japan that does not occur to me in England. And this was one of those things. I like gardening and I particularly like growing something edible. I have tried planting various things and some become successful and some are completely failure. As I mentioned before I learnt that Okra/Ladys’ Finger is the biggest No-no plant in London and another I gave up even before trying is this plant. This plant was in my mother’s garden. I was looking forward to being there when they harvest it. Do you know what this plant is? The main reason I went back to Japan this time was that my family had a Buddhism memorial service called ‘Hohji (法事)’. A Monk visited our home and gave us a prayer service. It lasted about 30 minutes to an hour. It was not that long but you had to be seating on a ‘Tatami (たたみ)’ mat and that was the toughest part of it. We of course sat on a cushion ‘Zabuton (座布団)’ but since I’ve been living in the UK for a while now and not used to seating on my leg … My legs became numb. The monk told us to sit in any position we felt comfortable and followed by telling us that he knew somebody who had broken her/his bone because s/he had tried to stand up and stumbled due to numbed legs. It was a hilarious story that we thought a little too extreme. Anyway we finished our prayers, thanked and said good-bye to the monk. None of us broke our bones luckily. Before the service we had a special lunch for the day. Do you know this beautiful shiny fish? It is ‘Sanma (さんま, 秋刀魚)’ in Japanese. 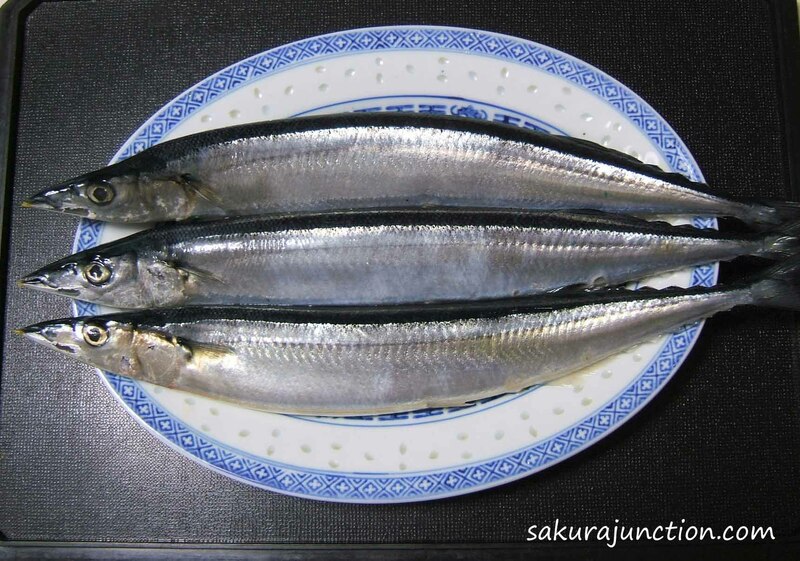 I have learned it’s called ‘Pacific Saury’ in English just recently. I never had a reason to search their name before because I have never seen them in London. Oh, only once actually in Japanese food shop but it was a frozen one. 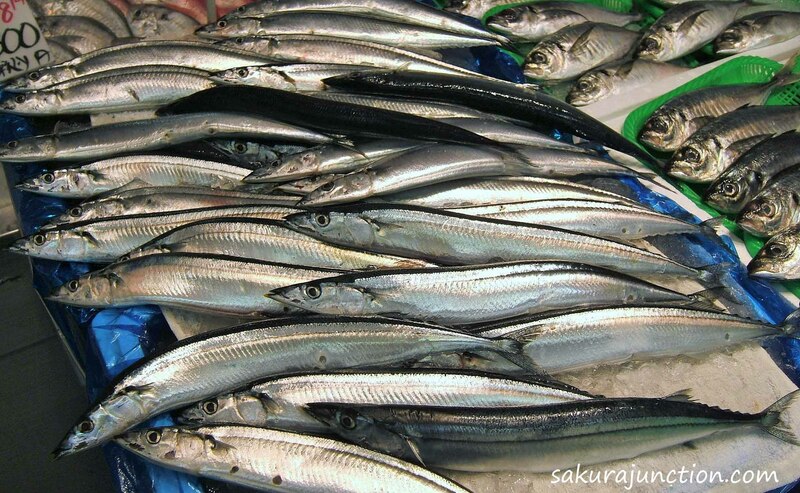 Lots of Sanma appear in fishmongers in Autumn. 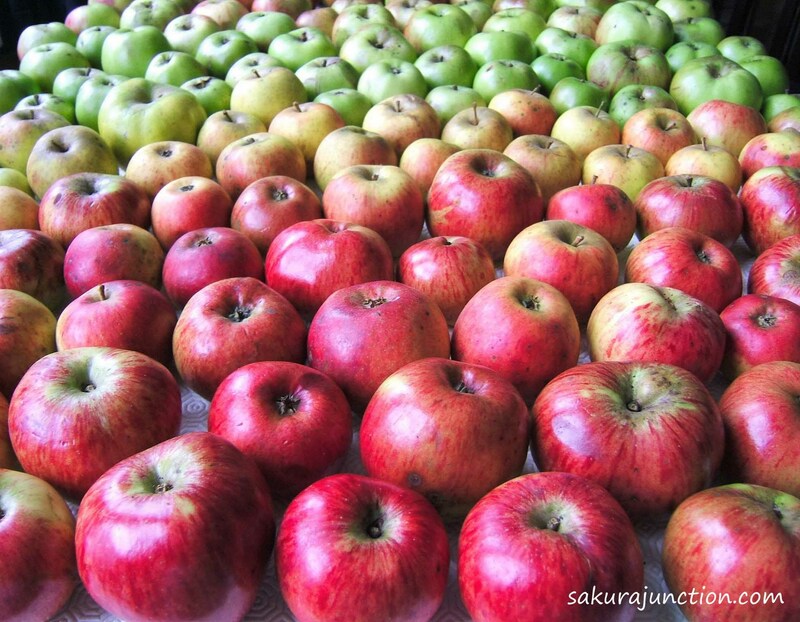 It is one of the Taste of Autumn for Japanese. So how do we eat them? Of course there are many ways to cook it. 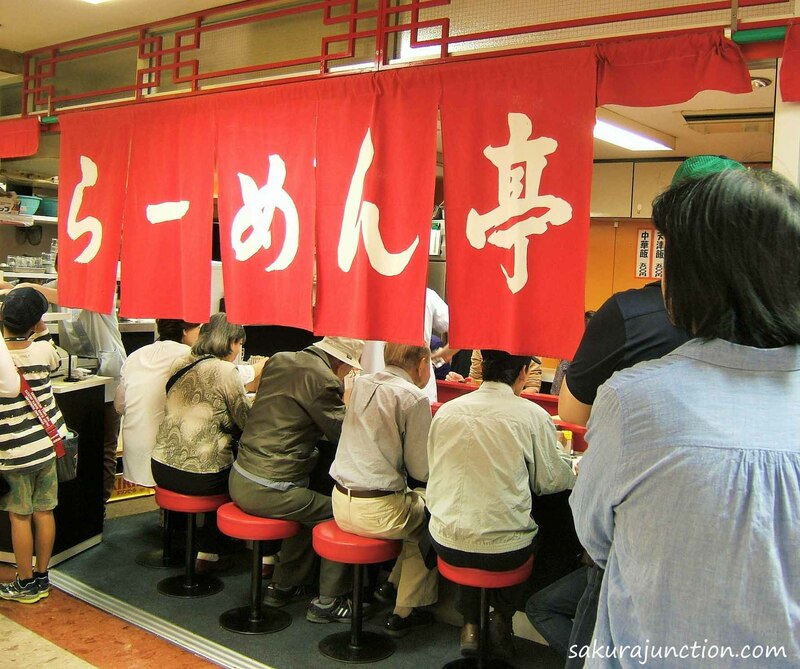 Some are very regional like famous ‘Sanma Sushi’. However, the way I like the most is the simplest one. What can I make with these? So it is officially Autumn now. 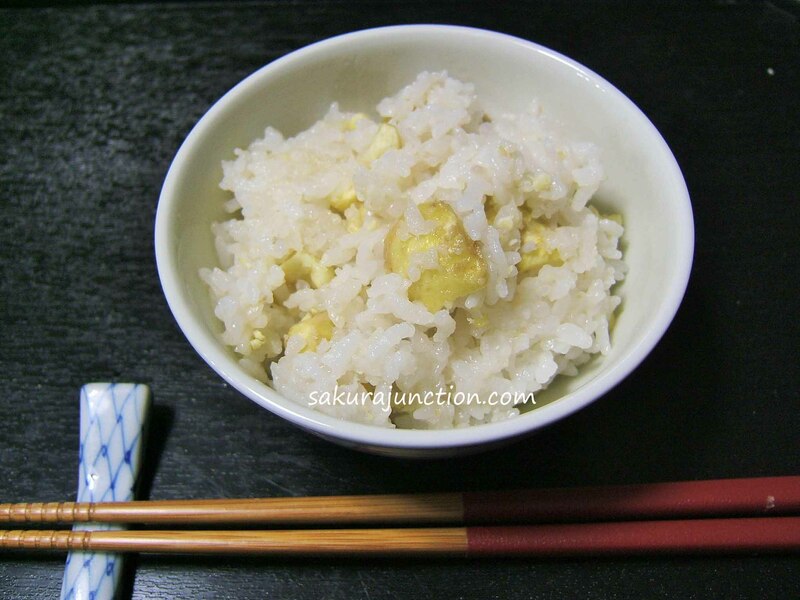 Whilst I stayed in Japan I had a chance of eating ‘Kuri Gohan (Rice with Chestnuts)’ twice. 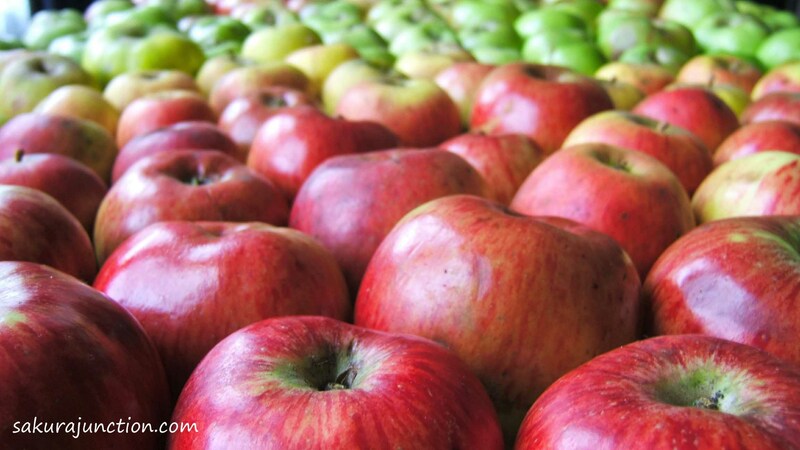 It is one of the seasonal food you MUST have in Autumn. I visited a famous land of ‘Kuri (Chestnut)’. 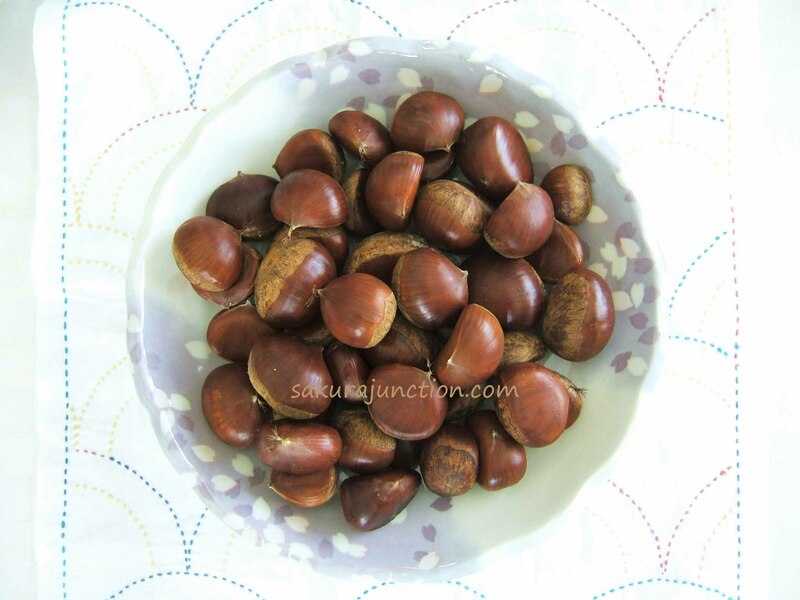 I spotted great looking Chestnuts sold at a tiny train station so I brought some back home. One of the things I was looking forward to when I went back to Japan was of course ‘Manju (まんじゅう)’ the Japanese sweet. I can make some by myself but I just wanted to try some very good ones that I cannot find in London. As I mentioned previously in “the Taste of Autumn” we are sensitive to changing seasons in Japan and ‘Wagashi (和菓子)’ the Japanese sweet is no exception. At the very beginning of Autumn the colour/pattern/ingredients of Japanese sweets have been already changed into Autumn theme.